"Daddy, we need to go!" Louis whines as he watches Harry sip his tea. "We won&apos;t be late, I promise. Come here, baby," Harry says gently. Louis huffs and shuffles over, wrapping his arms around him. "But we need to be there early! It&apos;s our wedding shopping, not the girls," Louis argues. "Do you need a spanking?" Harry threatens. "Because that&apos;d make us late." "No, daddy," Louis pouts. Harry leans down and kisses him slowly when he&apos;s finished his tea. "Good. Go get in the car." Louis shakes his leg as Harry drives, fingers fiddling nervously with his ring. "Baby, calm down," Harry says gently. "There&apos;s nothing to be nervous about. We&apos;re only looking for bridesmaid dresses today." "I know. But what if we don&apos;t find any?" "Then we&apos;ll keep looking. We know what kind of dresses we want, we just need to find them," Harry says calmly. "Then we&apos;re all going to go out for a meal so everybody can get to know each other. Yes, my love?" "Yes, daddy. I love you," Louis smiles. Harry grins. "I love you, princess and I can&apos;t wait until we&apos;re officially married." Anne, Gemma, Jay and all of Louis&apos; siblings arrive at the shop a couple minutes after Harry and Louis. They introduce everybody, Jay reassuring them that it&apos;s okay if they forget the kid&apos;s names because she does, too. The shopkeepers aren&apos;t put off by the big group, if anything they&apos;re delighted. "My names Andrew and this is Helen," one of the assistants introduces. "Nice to meet you. 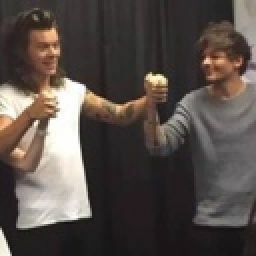 I&apos;m Harry and this is my fiancé Louis. We&apos;re dress shopping for our 5 bridesmaids today and one flower girl," Harry smiles, shaking the assistant&apos;s hands. "Good lad, gonna get big and strong," Louis smiles. "Look at your little sister sitting so well," Harry says and points to Dorris who is letting her mum hold her while she gets measured. "You won&apos;t be wearing a pretty dress though," Louis grins. "You will come suit shopping with Liam and Niall, get you looking all dapper." Harry chuckles and kisses Louis&apos; cheek. "You got the pictures on your phone of the kind of dresses you want?" Harry asks. "Yeah, they&apos;re in the bridesmaid folder," Louis tells him and Harry slips his hand into Louis&apos; pocket to take the phone. "These for the bridesmaids?" Harry asks and holds a picture up. "Yeah and this one," Louis says as he swipes across the screen. "For the flower girl." They describe a lilac maxi dress, floaty and to the floor with no chest on show to the assistant and they come back with three different dresses. Louis nods, acting like its a difficult decision when really he has fallen in love with one already. "Can we get some of the girls to try this one on?" Louis asks and points to his favourite. The assistant nods and takes the girls minus Dorris to the changing rooms. Louis and Harry&apos;s mums come and sit with them and the young twins. "Jay, this is my mum Anne. Mum this is Louis&apos; mum Jay and the young twins Dorris and Ernest. I know you&apos;ve met briefly,  but now you have properly," Harry says. They smile and Jay moves to sit with Anne, letting Harry take Dorris. Louis leans his head on Harry&apos;s shoulder, smiling up at him. "I&apos;m glad we can do this with our families," Louis sighs happily. Harry grins and kisses him gently. "We&apos;re going to be married, Lou! Married!" Harry chuckles. 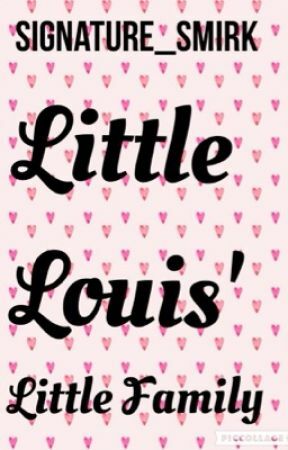 Louis giggles and nods his head.